James Bond’s favorite car company just made a splash on the auction scene. A glossy turquoise 1956 Aston Martin with a racing legacy sold for $22,550,000 — the most a British-made car has ever fetched at auction. The record price was set at RM Sotheby’s classic car auction in Monterey, California Friday. After a bidding war, the Aston Martin DBR1 was claimed by an unidentified buyer who called in a bid over the phone. It bested the previous record for a British car, set just one year ago, by a 1955 Jaguar D-Type. It sold for $21.8 million. What makes a car worth $22.6 million? Sotheby’s called the DBR1 “the most important model in Aston Martin history.” The one that rolled onto the auction block Friday was the first of only five ever built, and it’s the only DBR1 to ever to go on public sale. 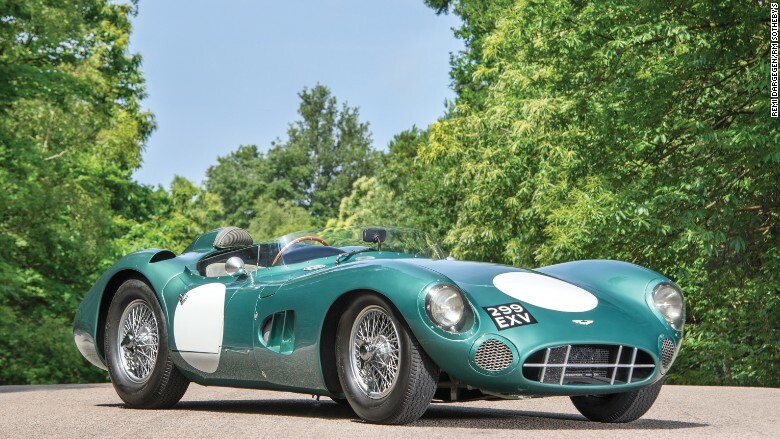 The first-ever built Aston Martin DBR1 sold at auction for $22.6 million. 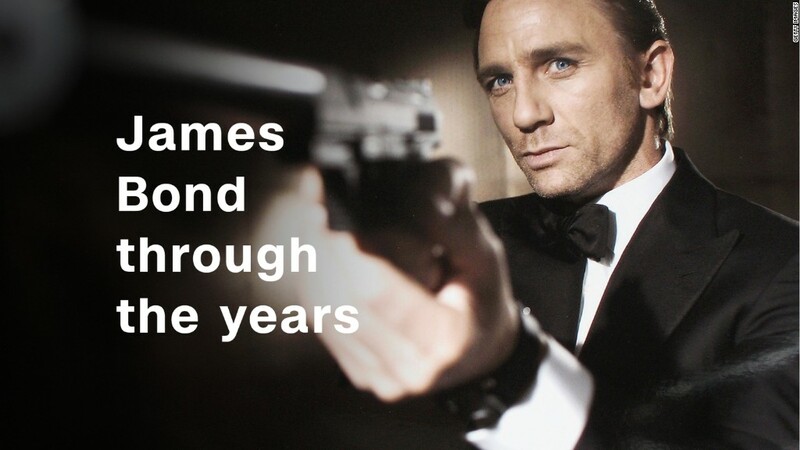 Bond famously drove a tricked-out DB5 model, a luxury model built for speed and comfort rather than the racing track. The DBR1 competed in more than a dozen high-profile races between 1956 and 1959, and it cinched first place at a long-distance competition at the famed Nürburgring Grand Prix track in Nürburg,Germany. The auction house said the car remains in pristine condition, and includes a replica of the original DBR1 engine. The original engine was also included with the auction, but the seller deemed the original “too precious” to risk racing. “Inside the cockpit everything is just as in period, from the bucket seats — well-padded and adequately comfortable for a purpose-built racer — trimmed in the correct tweed cloth,” Sotheby’s said. –CNNMoney’s Peter Valdes-Dapena contributed to this report.